and Box Build Dutek Mfg., Inc. 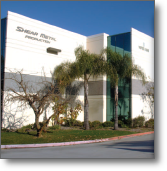 Precision Sheet Metal Fabrication Shear Metal Production, Inc.
DDH Group started in 1988 as DDH Enterprise, a company that through steady growth over the years has become one of the largest, most capable and automated cable and wire harness assembly manufacturers in Southern California. 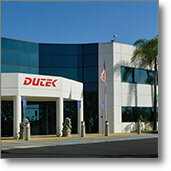 In 2000, the Du family started Dutek in order to serve key clients’ needs for printed circuit board assembly; the company has since earned a reputation for top workmanship quality. 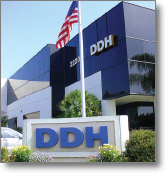 In 2010, recognizing the potential for further synergy in the electronics industry, the DDH group acquired Shear Metal, a well established local sheet metal fabrication company known for the precision and finish quality of its metal parts. We leverage each sister company’s expertise to create a cost-effective one-stop solution for contract manufacturing and box build system integration. We handle both consignment and turn-key and operate both domestically and in China. Customers with high-mix/low-volume appreciate our flexibility and execution speed, while customers with significant volume and high-labor content can take advantage of a risk-free opportunity to manufacture overseas. Our Global Supply Chain Management team works with our customers to research materials in order to reduce cost and lead-times.